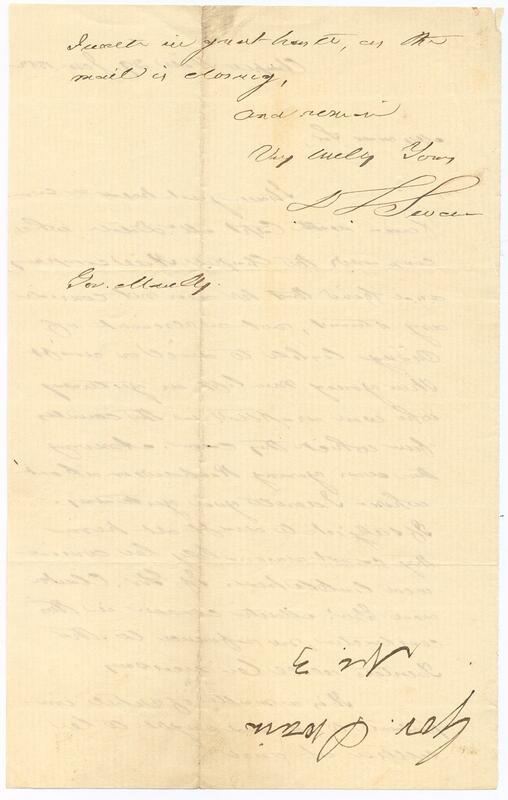 Item description: University of North Carolina President David Swain writes to Charles Manly, the secretary-treasurer of the university’s Board of Trustees, that he had spoken with local Confederate militia Captain McDade. Swain explains that drafting students appeared unlikely. Item citation: From folder 219 in the University Papers #40005, University Archives, The Wilson Library, University of North Carolina at Chapel Hill. It is a matter of vital importance to us, and ought to be settled at once. 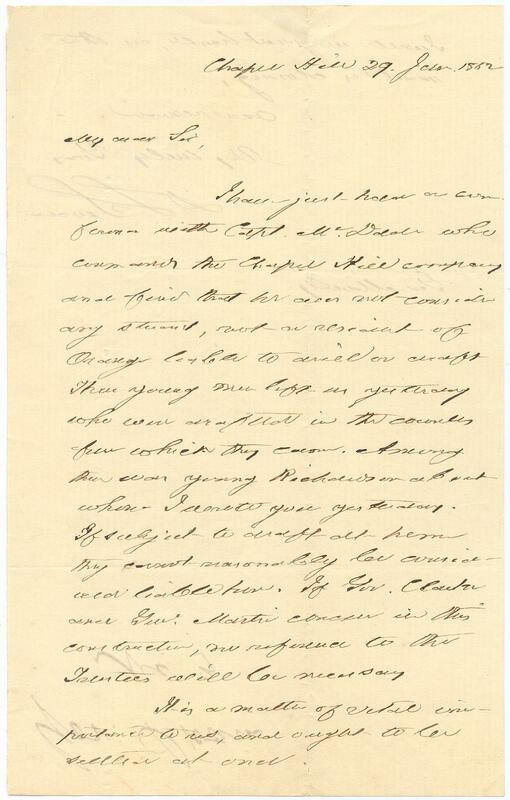 This entry was posted in University Archives and tagged Captain McDade, David Swain, draft, students, University of North Carolina. Bookmark the permalink.